It all starts with the right team. We are a passionate team of experts in data analytics and modelling. We work with organisations to optimise the use of data for problem solving and decision making. Applying advanced analytics and modelling techniques that simulate real-world scenarios, we enable organisations to understand the current state of play and adapt for the future. Mezo is supported by the Australian Government ‘DataStart’ program, an initiative of the Department of Prime Minister & Cabinet. Dr Athol Whitten is CEO of Mezo Research. As a modeller and data analyst, Athol has worked on a range of management and modelling problems for state and federal Governments in Australia and the USA. His major research interests relate to the use of modelling and data analysis for the management of resources. Athol is a Senior Honorary Fellow at The University of Melbourne, and serves on the editorial board of an international scientific modelling journal. Dr Michael Smith is Chief Technology Officer and Principal Modeller at Mezo Research. He is an internationally recognised expert in the area of complex systems modelling and has a background in engineering and computer programming. Michael led the development of advanced workforce optimisation models for emergency services. Previously, he also helped pioneer the development of simulation models to support ecosystem-based management of shared resources with competing stakeholder interests. Simone Stuckey is Chief Operations Officer at Mezo Research. She has extensive experience in government policy and resource management, working with local and state Governments as a policy adviser for the Municipal Association of Victoria. She holds a BSc (Hons) and an MBA. She was awarded an Australian Government scholarship to study Innovation and Entrepreneurship in Denmark. Simone leads projects related to the management of human resources. Caitlin Adams is a Modeller at Mezo Research. She is currently completing a PhD in Astrophysics at Swinburne University of Technology, and holds a BSc (Hons) in Physics. She is passionate about mathematical modelling and data analysis. Caitlin works on both human resource projects and natural resource projects, combining her skills in data analytics and mathematical and statistical modelling to provide valuable insights. Dominic Palanca is a Junior Modeller and Programmer at Mezo Research. He is currently completing a double degree in Pure Mathematics and Financial Economics at the University of New South Wales. He enjoys learning abstract mathematics and applying mathematics to real-world processes. 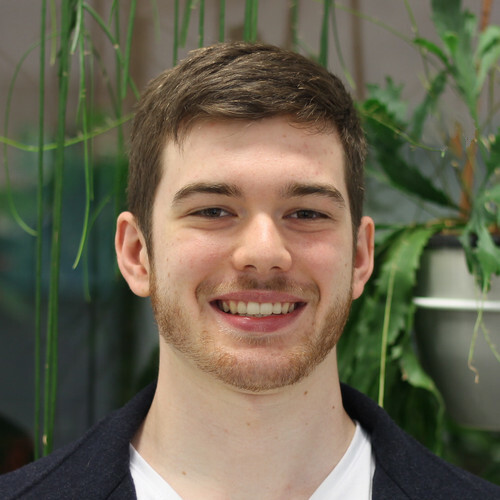 Dominic works on global economic modelling and agricultural forecasting.